The National Convention was attended by Government Officials from Cyprus and Greece with Keynote Speaker H.E. Photis Photiou, Presidential Commissioner for Humanitarian Affairs and Overseas Cypriots. The event was organized in collaboration with PSEKA, the Cyprus Consulate General in New York and presented by the Pancyprian Choir. Keynote Speaker at the event was H.E. Savvas Angelides, Minister of Defense of the Republic of Cyprus. The Eleftheria-Pancyprian Youth Soccer Teams had a meeting on February 21st with H.E. The President of the Republic of Cyprus, Mr. Nicos Anastasiades, and The Presidential Commissioner for Humanitarian Affairs and Overseas Cypriots, Mr. Photis Photiou, during their 2019 Cyprus Tour. Members of New York's Cypriot and Jewish communities organized a Cultural Celebration on January 15th with their traditional food, wines, dancing and music at the Pancyprian Center/Dionysos Restaurant. 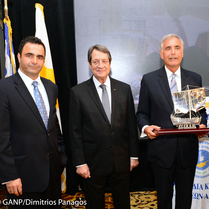 The event was held jointly by the Federation of American Cypriot Organizations (FCAO), PSEKA, the Cyprus-US Chamber of Commerce, Hellenic American Leadership Council (HALC), AJC Westchester/Fairfield under the auspices of the Consulate General of Cyprus in New York and the Israel Consulate General in New York. On October 26, 2018, 27th Street between 23rd and 24th Avenues in Astoria, Queens will also be known as "AKTINA FM WAY" in honor of AKTINA FM Greek-American Radio and its important contributions to Greek-Americans and Americans in general for a quarter of a century. FCAO Philanthropic organizes successful "Monte Carlo Night"
On October 28th, FCAO Philanthropic organized a Monte Carlo Night, a philanthropic event to raise money for FCAO Philanthropic that helps Greek Cypriots in need and St. Basil Academy. The Federation of Cypriot-American Organizations (FCAO) held its annual Testimonial Dinner on September 27th, 2018 in New York City. Dr. Harris Pastides, President of the University of South Carolina, was bestowed with the Lifetime Achievement Award and His Grace Bishop Sevastianos of Zela with the Leadership Award. The Federation of Cypriot-American Organizations (FCAO) held its Annual Testimonial Dinner on September 27th in New York City in the presence of the President of the Republic of Cyprus Nicos Anastasiades, Minister of Foreign Affairs for the Republic of Cyprus, Mr. Nicos Christodoulides, representatives of the Cyprus and Greek governments, diplomats and many distinguished guests. 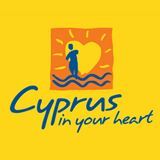 The official website of the Cyprus Tourism Organization is an excellent source of information about Cyprus. Your participation in this brief survey will enable us to get a better understanding of the interests and needs of the Greek-Cypriots in the USA. The study will provide us with useful information and grant us the opportunity to undertake a course of action to revive the Greek-Cypriot community of the USA.